The above passage from Alice in Wonderland, says Daniel Jowell QC of Brick Court Chambers, is apt when planning for the possibility of the UK leaving the EU. Before the end of 2017 – and most likely later this year – British voters will be asked whether they want the UK to remain a member of the EU or leave. If the vote forces an exit, the post-referendum outcome will be complex for UK businesses. 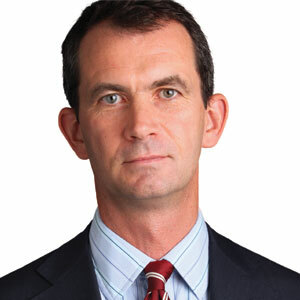 As Timothy Less, director of the consultancy Nova Europa and affiliate at the University of Cambridge’s Forum on Geopolitics, points out, should the UK vote for a full exit it will not be a simple case of one political union leaving another. Changing the terms of a series of precariously balanced political relationships, Brexit could be an act that brings down both unions. Domestic relations within the UK are already strained. A Brexit vote could trigger Scotland’s departure and begin a debate about the future of the UK itself. The withdrawal of the UK from the EU, says Less, may even be the spark that ignites the powder keg under Europe, critically destabilising the balance of power and causing the complete collapse of a grouping mired in controversy and discord over the handling of Greece’s woes and the ongoing migrant crisis. Even without such drastic consequences, the financial, legal and political repercussions of an exit vote will define Europe for a generation. 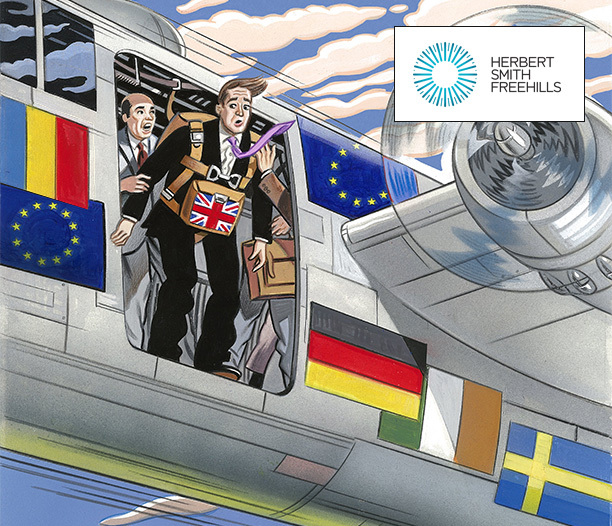 With this in mind, we teamed up with Herbert Smith Freehills (HSF) to produce a special report on the topic, drawing on responses from more than 200 UK-based businesses, including a range of general counsel (GCs), regional counsel and chief executives. With a widespread assumption by political commentators that the referendum will be held in June 2016, it comes as a surprise that Brexit has still not reached most UK boardrooms. 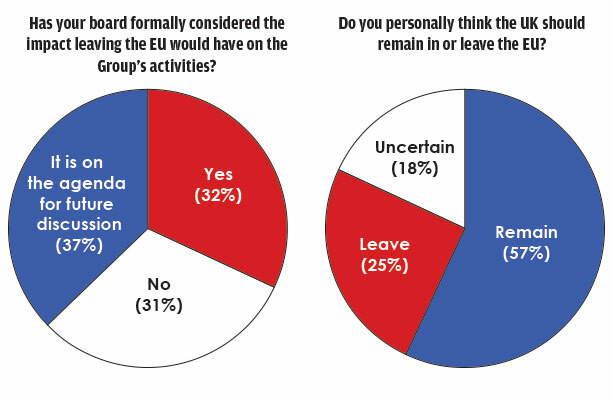 Less than a third (32%) of those surveyed said their board had formally considered the impact leaving the EU would have on their company’s activities, while just over a third (37%) said the board planned to do so in the future. This wait-and-see approach is symptomatic of the uncertainties surrounding Brexit. With Prime Minister David Cameron currently engaged in negotiations with various member states over his four demands for EU reform – binding protections for non-eurozone members; making the EU more competitive; exempting the UK from the principles of ‘ever closer union’ and strengthening national parliaments; and restricting EU migrants’ access to benefits – the UK government has yet to outline its position on how it would seek to replace EU membership. 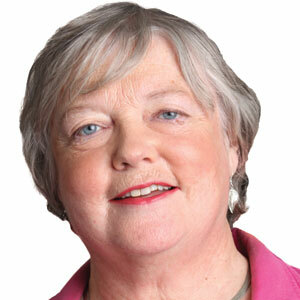 Diana Wallis, president of the European Law Institute and former vice president of the European Parliament, sums up the mood of many commentators by describing this as ‘a startling abrogation of political duty’. The big problem with the Brexit debate, says Wallis, is that the government has yet to tell voters what ‘out’ looks like. As the referendum draws closer it is likely that UK businesses will start to get their action plans together, but it won’t be easy. The implications of Brexit may be fundamentally legal in nature but leading lawyers are bemused by the lack of information from the government. Even legal counsel working in finance, a sector likely to be hit hard by Brexit, are perplexed. When it comes to Brexit, UK companies are keeping their cards close to their chests. Only 9% of respondents to our survey said their company had announced a public position, with the rest either taking no formal stance (39%) or not disclosing their position. Companies that had taken a public position were split between those that thought the UK should remain as part of the EU (56%) and those that thought it should leave (36%) or wait on the outcome of negotiations before giving an opinion (8%). Respondents personally were more Europhilic. Over half (57%) thought the UK should remain in the EU, with the rest split between those who thought it should leave (25%) and those who were unsure (18%). General counsel were the most pro-European of the respondent groups, with 64% saying the UK should remain in the EU. This is not representative of the UK public as a whole. Opinion polls consistently show the British public is hostile to the EU. According to the last available Eurobarometer public opinion survey of member states, published in autumn 2014, only Greece and Cyprus have a lower estimation of the EU than the UK. How did it come to this? And is the UK’s low estimation of the EU likely to be a decisive factor in the upcoming referendum? The European Economic Community (EEC), a predecessor of the EU, was established in 1957 by a treaty between Belgium, France, Italy, Luxembourg, the Netherlands and West Germany. While this six-nation community had clear economic objectives from the start, not least the formation of a tariff-free Common Market, it was also born of an ideological mission to prevent the continent from sliding back into war by guaranteeing ever-closer union between members. The UK made two attempts to join the EEC in the 1960s before finally being admitted in 1973. On both occasions its membership was vetoed by Charles de Gaulle, who worried that the UK’s ‘deep-seated hostility’ towards the union would disrupt the EEC’s ability to make unanimous decisions. Inevitably then, when David Cameron set out his key demands in a letter to the president of the European Council last year, he called for Britain to be exempted from the principle of ever-closer union. Whether deep-seated hostility will translate into a Brexit vote is finely balanced. Recent polls suggest that those who wish to leave the EU now outnumber those who wish to remain but, as last year’s UK general election showed, opinion polls are notoriously unreliable. The result has become even harder to predict given the Syrian refugee crisis, which saw around a million migrants flock to Europe last year, further inflaming tensions in Europe over immigration and freedom of movement. The referendum question itself – ‘Should the United Kingdom remain a member of the European Union or leave the European Union?’ – is also one that invites uncertainty. The initial question met with protest from the UK Electoral Commission on the grounds that it presented the ‘remain’ vote as the default option (which, of course, was the government’s intention). The referendum has to happen before the end of 2017, but the smart money is on it happening sooner rather than later. The UK government set out what it wanted to achieve from negotiations in November, leaving the path clear for a vote this year. Most commentators still think June 2016 is the most likely referendum date, which doesn’t leave much time for the UK government to conclude negotiations with its European partners and set out its position during a statutory period of official campaigning. While it is possible the date could be pushed back to 2017, it would be tricky for the UK to hold a referendum then. France and Germany are both set to hold general elections and are likely to see dealing with the UK as an unwanted distraction. From July to December 2017 Britain will assume the presidency of the EU, which will see ministers removed to the European Council and prevent them from campaigning. A second widespread assumption is that, even if the UK votes for Brexit, commerce and realpolitik will trump all else. Many expect the ongoing negotiations to yield a watered down series of British proposals that will be pushed through and ratified by the EU or, in the event of a ‘leave’ vote, a post-Brexit fudge restoring mutually beneficial trading relations. This may be the case, but to bank on it would be to underestimate the political machinations involved and the law of unintended consequences. As Livingston says, ‘legal counsel may not be able to establish what the outcome of a referendum will be, but it is not impossible to work out what the legal implications for a business will be under the various Brexit scenarios’. Some sectors will be directly affected by withdrawal from the EU. Financial services businesses will lose the passporting rights which allow them to carry out activities in any EU jurisdiction, whether they have a branch there or not. According to Johnson, UK telecoms and media companies are also likely to be significantly affected by Brexit. Should the UK vote to leave, its options, in broad terms, are signing up to the European Economic Area (EEA) Agreement; adopting something akin to the Swiss arrangement of bilateral treaties; adopting a Turkish-style customs union; or trading under pure World Trade Organization (WTO) rules. The simplest model of non-membership relations with the EU is the EEA, a group consisting of Iceland, Liechtenstein and Norway, which, along with Switzerland, trades with the EU as part of the European Free Trade Association (EFTA). Members of the EEA are permitted to trade in the single market without tariffs but must guarantee the four freedoms of the EU – persons and workers; capital; services; and goods. The potential advantage of this model is that it comes with a wider series of opt-outs on EU regulations, including the much maligned common agricultural policy and common fisheries policy. However, EEA members are obliged to make a significant financial contribution to the EU and adopt all EU legislation relating to the single market. While the EEA is involved in consultation prior to the introduction of new legislation, the EU has always been clear that members of this group do not vote on EU matters. Essentially, members lose their influence over the EU but have to pay for the laws that are imposed on them remotely (what the Norwegians call ‘fax democracy’). Critics of the EU often point to its burdensome regulations, but as Livingston points out, far from making regulations less onerous, Brexit would lead to a double burden for UK businesses that trade with the EU (trade which accounts for nearly half of all UK exports). How much UK law comes from the EU? Supporters of the UK exiting the EU are often driven by ambitions of restoring lost sovereignty and putting an end to Brussels’ interference with UK law. However, those who caution against Brexit point to the sheer difficulty of disentangling the UK’s laws from those of the EU following more than 40 years of legal integration. Whatever the merits of these competing positions, they raise an important question: how much UK law comes from the EU? It is a difficult question to answer and estimates range from 10% to 70%. According to a 2010 research briefing produced by The House of Commons Library, there are at least three reasons for the wide variation in estimates. First, the impact of EU legislation affects some sectors far more than others. The EU has almost no influence on the laws governing UK defence but a lot over those for agriculture. This raises a second problem: it is difficult to say with precision what constitutes an impact on UK law. Although agriculture is among the most affected sectors, regulations covering growers of olives or tobacco will have little effect on UK farmers. Should laws that have little impact on the activities of UK businesses be included in the estimate? It is ultimately a subjective call. A third difficulty surrounds laws that have been around for a long time and are effectively part of UK law. However, accepting the caveat that ‘there is no totally accurate, rational or useful way of calculating the percentage of national laws based on or influenced by the EU’, the House of Commons report concludes that 50% of the UK’s economically significant laws are derived from EU legislation. Since the UK became a member state in 1973, European-originated laws have reached it in a number of forms – as directives, regulations and treaty obligations. Treaty measures and regulations would fall away upon Brexit, but it is likely that the UK would want to keep many of them, requiring new primary legislation to be passed. What happens to UK law that implements directives, which are transposed into national law, is more complicated. If the European Communities Act 1972 was repealed without replacement, it is possible that all the EU law implemented by statutory instrument made only under that Act would fall away, but it is not clear that earlier repealed law would revive. In a significant number of cases other UK laws, both primary and secondary, have been used to implement directives without reference to EU law and these would remain in any event. Overall, however, UK law would be left horribly deficient, losing much law needed in a modern society, with gaps all over the place, ranging from consumer protection to financial services regulation (where, ironically, EU law often closely follows the earlier UK law it replaces). The only precedent is Greenland leaving the European Communities in 1985, but given the country’s size and the fact that it had only been a member for 12 years it does not come close to the complexities the UK would have to address. It would be a herculean legislative task to replace the UK’s EU-derived law on a case by case basis, and the starting point might well have to be a compendium continuation law, as was proposed by the SNP in the event that Scotland had become independent. 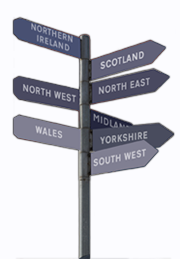 Years of legislative effort would then be needed to arrive at purely UK – and, in devolved matters, English, Scottish, Welsh and Northern Irish – law. It is also difficult to see how the model would work in Britain’s interests. Iceland is a country of 330,000 that joined the EEA to retain control of its fishing rights. It seems wildly unrealistic to assume that the same model would work for a much larger economy. The EEA and EFTA models both preserve the free movement of persons, which may rule them out politically as tenable replacements in a referendum that hinges on restricting immigration from within the EU. A Turkish-style treaty offering free movement of goods but not people might be a viable alternative, but it would lead to tariffs on services. Given that services account for 79% of the UK’s GDP, it is highly unlikely the government would seek a deal on these lines. As our survey indicates, restricting the free movement of persons would also have a direct effect on UK businesses. Respondents identified the loss of free movement of workers between the UK and the EU as the biggest potential risk to their activities following a Brexit vote. The only other established option would be to go it alone and operate under WTO rules to access the ‘most favoured nation’ tariff (the route US businesses take when trading with the EU). This would allow the UK to avoid significant financial contributions to the EU budget but businesses would be subject to tariffs on exports. The introduction of tariffs would be a big hit to UK manufacturers but not necessarily a disaster for the economy as a whole. According to a 2014 London School of Economics study led by Gianmarco Ottaviano and João Paulo Pessoa, 0.14% of UK GDP would be spent on these tariffs. This is less than the 0.5% of GDP currently spent on EU membership. However, tariffs are not the only barriers the UK would face if it left the EU, and barriers including product standards, anti-dumping legislation and labelling standards would still apply to UK firms trading with Europe together with any rules applied as conditions of continued access to EU markets. Taking these factors together, the study estimates that the net costs of leaving the EU would be somewhere between 1% and 3% of UK GDP over the next ten years, assuming trade remained relatively stable. A recent survey of more than 100 economists by the Financial Times underscored the economic consensus that the UK’s prospects would be damaged by withdrawal from the EU. Of those surveyed, 67 thought the UK’s economic outlook would deteriorate following a vote to leave, while none thought it would improve. Trade is an important consideration. According to the Office for National Statistics, 44.6% of UK exports went to the EU in 2014. However, faster growth by emerging economies means this proportion has declined since 1999, when 54.8% went to the EU. Foreign direct investment in the UK from the EU is substantial, standing at 46.4% of net UK assets held by overseas owners in 2013, though heavier investment by non-EU investors since the banking crisis means that this has declined from 53.2% in 2009. The value of UK assets held by non-EU investors increased by 64% over the period, outpacing a 24.8% rise by EU equivalents. Some argue that these statistics suggest the UK has scope to diversify its trade away from the EU, but in so far as the non-EU investment in the UK is a stepping stone to access the EU as a whole, this is an attraction the UK would lose on Brexit. Our survey shows businesses have similarly mixed feelings on how Brexit would affect their economic outlook, with respondents split evenly on the question of whether leaving the EU would make their business less likely to invest in the UK. Half (50%) said it would have no effect on their plans, while the remainder said it would either lead to reduced investment in the UK (23%) or that they would have to re-examine their position once the outcome of negotiations became clear. Around a quarter (26%) of respondents said Brexit would have a direct effect on their existing activities, causing them to downsize or close UK businesses. 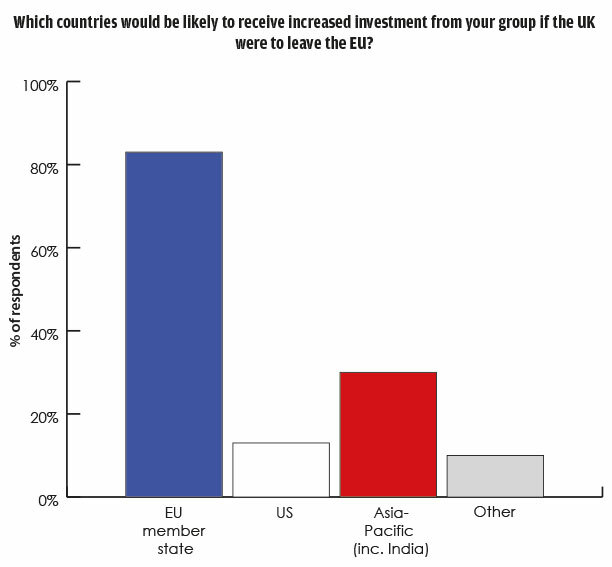 Of those who said they would be likely to divert investment away from the UK, 83% said another EU member state would be the recipient. Underlying the importance of services to the UK economy, only 50% said their decision over investment and business planning would be affected if the UK were to negotiate a customs union preserving the free movement of goods. Establishing a new trading relationship with the EU that strikes a balance between the demands of the electorate and business is just one of the post-Brexit problems the UK would have to face. In the long run, disentangling the UK’s laws from those of the EU could present a bigger challenge. On that view, it could take a generation for the UK to work its way to full legal independence. A further problem here is that EU laws are frequently backed up by an EU institution, such as the Court of Justice of the European Union (CJEU). The UK would not only need to go through the hardship of identifying those laws it wants to keep, it would also need to specify a replacement body to oversee the relevant legislation. The fact that 93% of children in secondary education in the EU learn English also gives the UK a huge advantage in conducting negotiations. Even though the UK opted out of joining the single currency, English remains the official language of communication in the European Central Bank. It is also clear that other member states are increasingly receptive to the UK’s calls for reform of the EU.